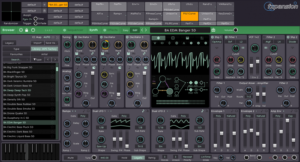 HomeNewsSoftwarePluginsFXpansion Released Cypher 2 Expressive & Performance Oriented Analog Modeled Synthesizer Plugin! Cypher 2 features all the powerhouse capabilities of the original and adds an inspiring set of new features that makes it to a expressive sound design oriented Synthesizer plugin. The DCAM Synth Squad has long been a favourite plugin bundle among music producers. With the release of Strobe 2 in 2015, these well-known plugins are no longer available in this bundle but as single product. 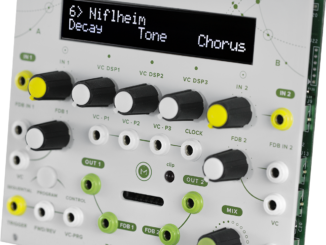 3 years after the release of Strobe 2, the next generation of Cypher Synthesizer is available. Cypher 2 features the same powerhouse capabilities of the original but features a wide range of new modern features like more modulation options, effects effects, bigger GUI and full support for the MPE standard. Although the developers have kept users waiting with this release (1 year in the private beta), one can say that Cypher 2 is a nice evolution of the original plugin. Our signature TransMod modulation system, now upgraded for Cypher2, ensures that every session with this premium synthesizer is a sound design adventure. FXpansion Cypher2 is available now for Windows and Mac (VST/AU/AAX) for $199 USD from FXpansion and any online retailer. 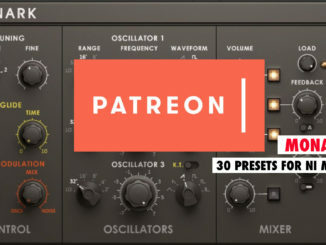 Users of the original DCAM Synth Squad can upgrade for only $79 USD until September 7th (regular $99 USD), and users of Strobe2 can cross-grade for the same price during the sale. Behringer Teased A Clone Of The Cat Analog Synthesizer By Octave! 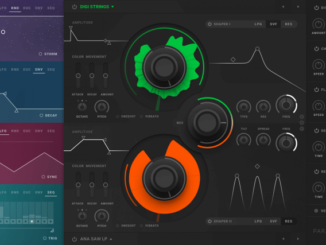 Audiority Updated GrainSpace To V2: New Grain Filters, Chord Resonator & More!